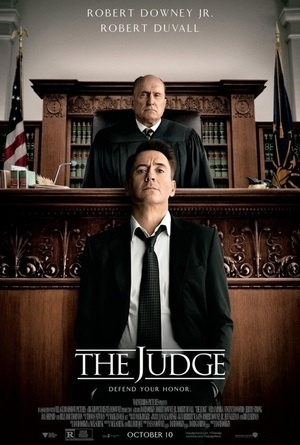 The Judge – Did You See That One? Hank Palmer (Downey Jr.) is a high-powered attorney with few ties to his family. When he returns home for his mother’s funeral, he finds himself at odds with the local judge, Joseph Palmer (Duvall). This judge also happens to be Hank’s father. The family struggles are magnified when Joseph is charged with murder. Now Hank must find a way to defend his father despite their inability to communicate. The trial is just one part of the struggle for these two men. This film is based on a story created by the film’s director David Dobkin (The Change-Up) and screenwriter Nick Schenk (Gran Torino). Schenk and Bill Dubuque wrote the screenplay together. The film features an all-star cast that includes Robert Downey Jr. (Iron Man 3), Robert Duvall (The Godfather), Billy Bob Thornton (Sling Blade), and Vera Farmiga (The Departed). The cast also features the great Vincent D’Onofrio (Kill the Irishman) and Dax Shepard (Hit and Run). The story for this film is an interesting look at the strain between family members over actions from the past. The writing centers on the father-son relationship between Duvall and Downey Jr.’s characters. The added drama of the murder charge serves as a starting point for the story to unfold. The strength of this movie is the dialogue, which seems to avoid a lot of exposition while giving an intimate look into the lives of the characters. The courtroom scenes are nicely scripted, allowing the tension to build from beginning to end. The weaker point of this script is the lack of depth given to some of the supporting characters. While the characters all have unique aspects, I think the story gave us a little about a lot of people. With a few less characters, the story would’ve given a more solid backdrop for the action. This isn’t a major flaw, just something to note when checking this one out. Overall, the drama and tension are wonderful in this unique story. 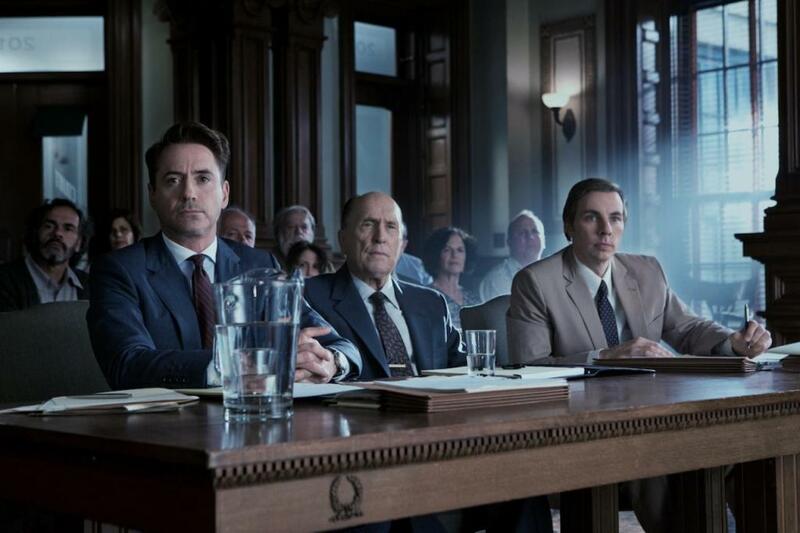 You’re in for a treat any time Robert Downey Jr. or Robert Duvall stars in a film. When they’re together, it just gets awesome. Duvall is a master of his craft, and this movie asked him to dig deep in an emotional role. Like so many great dramas, his performance asked for him to touch on a wide range of emotions. Robert Downey Jr. is equally great in this one. His energy worked perfectly with the story, allowing him to shine. The chemistry between Duvall and Downey Jr. is also an incredible thing to watch. The acting doesn’t stop with the two stars I’ve already mentioned. Adding in great performances from Vera Farmiga, Billy Bob Thornton, and Vincent D’Onofrio just makes this movie better. Dax Shepard also did a great job with a role that took him in a new direction from previous work he’s done. Overall, the acting makes this one great to watch. This movie doesn’t do a lot of unique camera work or anything out of the ordinary for a drama. Still, the movie is put together nicely. The visuals and the locations all seem to work to create the small-town setting of the film. In addition, the movie features great sets that capture the right feel for the story. Finally, the score for the film, written by Thomas Newman (Skyfall), was incredible. The music really puts the mood right where it needs to be. This movie has a lot to offer. Despite the weaker storylines, this one delivers with a main arc that pays off nicely. It’s a long one, running a little over two and a quarter hours. If you’re a fan of the stars, this is one you need to see. I would also suggest this one to fans of great drama or courtroom dramas. I give this one 4 out of 5 stars. I love courtroom dramas and this looks like it could be very interesting. The core of the story is very solid. Enjoy! I’ve been tempted by this one for a while, nice to hear that most of it really holds up! If you’re stingy with your movie money, it might be worth going to a matinee. Otherwise, enjoy! Pingback: Christmas Classics: The Santa Clause | Did You See That One?